Lakh and Quinn’s wedding was one of Onsight Film’s most memorable wedding shoots. Not only because it was the first Queensland wedding that we had the privilege to shoot, it was also among the most fun weddings we had filmed. The wedding kicked off with a Chinese wedding tea ceremony, which had a lot of beautiful elements to it. From the fun games the groom and the groomsmen played outside of the house while the bride was preparing in her room, up to the traditional serving of the tea, giving of gifts and sharing of well-wishes – there was always something to capture. 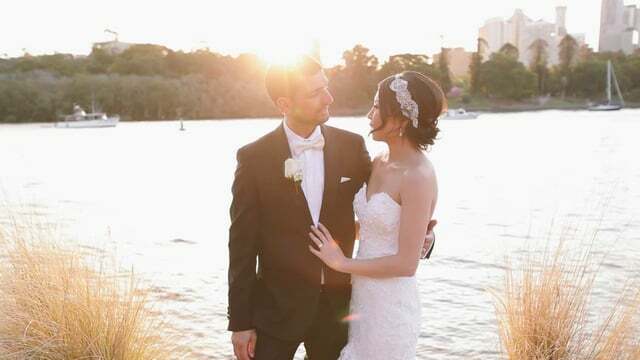 As a Sydney wedding videographer, it wasn’t hard to look for great moments to film. It was especially amazing to capture the groom’s reaction as he saw the bride enter the church and walk down the aisle. Moments like these are what make a wedding truly special. The exchanging of vows was done at the Mary Immaculate Church Annerley, a truly remarkable place to have a wedding ceremony in with its beautiful façade and magnificent interiors. After the ceremony, the reception was also quite amazing Go Here. The couple’s entrance into the ballroom was preceded with lively dancing from traditional Indian drummers and followed by a spectacular Lion dance performance. With all the things that went on that day, we were very happy to capture all the magical moments that were shared between the couple, their family and friends, and successfully do a same day edit so everyone could witness again all that happened on this momentous occasion.